Will defeat at Everton derail Chelsea’s title bid? Chelsea lost 1-0 at Everton’s Goodison Park yesterday, despite the Blues dominating possession and having 22 efforts on goal. The visitors looked like the better side and blew a number of chances to find the target, much to the annoyance of boss Jose Mourinho. Chelsea may have had more of the game, but Everton deserved to win the game just for their spirit. The Toffees produced a typical robust display and took their chance when it arrived. The Merseysider’s defended valiantly and kept out Chelsea’s very costly attack. 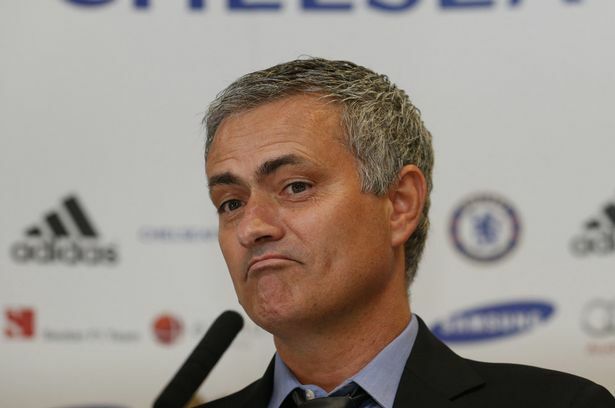 Chelsea boss Jose Mourinho seemed to be unable to understand how his side lost the game. The Portuguese boss told Sky Sports: “I don’t know if I have to say we didn’t deserve to lose, or if I should say we deserved to lose. The Chelsea players underperformed at Goodison Park. Germany international Andre Schurrle missed some gilt-edged chances and did look good enough, while debutant Samuel Eto’o also missed some good chances. The former-Barcelona star looked very rusty on his first Chelsea appearance and will have to improve his performances to stay in the team. Brazilian centre-back David Luiz looked unable to stay in position and will be exposed against more in-form strikers. Even last season’s star performer Juan Mata had a quiet game and was substituted. The Spaniard is not yet up to pace with the Premier League and Jose Mourinho obviously does not seem to appreciate his ability. Chelsea have had a slow start to the season in terms of performances, but their quality will shine through in the end. Chelsea have too much quality within their squad to carry on underperforming and Everton is a tough place to visit for opposition teams, even for such expensively assembled teams. Jose Mourinho is still trying to re-instil his ideas into his players. There is no doubt that the Portuguese boss needs time to get it right again at Stamford Bridge. This is not his team and certain players do not seem to fit in with the former-Real boss’ football ideas. Juan Mata is a great player, but it seems that Mourinho does not see him as his sort of player. He may feel that the playmaker slows the game down at times and wants Chelsea to play at a higher tempo. The signing of Willian seems to point to the fact Mourinho wants more pace within his team. Chelsea already had a stockpile of players capable of playing in the attacking midfield roles, yet Mourinho went out and brought in another one. This sounds like a strange thing to say, but Chelsea may just have too many players, especially in the attacking midfielder area. That means a constant rotation of the three attacking midfielders behind the lone striker. The attacking midfielders will then not be able to build up any form, because they will never get a decent run of form in the team. Mata needs games to build up fitness and to hit top form. It seems that Mata could be the player that is left out of the team most out of the attacking midfielders. The race for the Premier League title is really open this season, but even after this defeat Chelsea remain one of the favourites, because of Mourinho’s presence in the Chelsea dugout and quality within the squad. I have no doubts that results will improve under the Portuguese. This was probably a blip, but performances will have to improve if Chelsea are going to be successful this season. Is the defeat at Everton just a blip for Chelsea? On Saturday night Gareth Bale made his debut for Real Madrid in Los Blancos’ 2-2 draw at Villarreal’s El Madrigal. As we all know, Bale made a world-record £85million switch from Tottenham towards to Los Blancos at the end of the last transfer window. The Welshman scored a goal for his new side and played just over an hour as Carlo Ancelotti’s new look team drew with the Yellow Submarine. Gareth Bale is definitely not match-fit, hence the short amount of time on the pitch against Villarreal. The Welsh international had not played for Spurs this season, because of an injury niggle, his determination to leave for Real Madrid did not help his chances of selection either. Bale is usually a very fit player, who can run all day and gives everything for the team. However, when he is not fully-fit he cannot have the same influence on the game. He will not start having a full influence on game till he reaches full match fitness again. Then maybe we will see the best of Bale in a Real shirt. Like any player joining a new club the 24-year-old is going to need time to settle in. He also has to learn the language, get accustomed to the different culture and learn how to act at the goliath that is Real Madrid. Real Madrid is one of the biggest, if not the biggest club in the world and he will have even more spotlight on him in Madrid then he did when was in London. Bale would have had a lot attention on him anyway in Madrid, but the world-record fee paid for him will add to the glare of the press and fans. Gareth Bale is under-pressure to perform every game, but so is every other footballer that pulls on a white shirt, it comes with the territory of playing for Real Madrid. The former-Southampton star seems to have handled it pretty well so far, apart from a few nervous moments when he was presented to the press. On the pitch he will just play his normal game and that is all he can do. Gareth Bale was outstanding in the Premier League last season, where teams tried to deny him space and close him down quickly. In Spain he is likely to get more space to play, except against the teams that play the high-pressure game. Like Cristiano Ronaldo, he could increase his goal ratio in Spain because of the amount of room he will have to operate. As Premier League defences found out last season it really does not pay to allow Gareth Bale any room to get his shots away. As well as time to settle into a new lifestyle Bale will need time to gel with his new teammates. His relationship with Cristiano Ronaldo could be a key to the team succeeding. During the Villarreal game they switched wings and Ancelotti said that was normal. Both players have the ability to play on either wing and both like to cut inside to create more space for themselves. The rumours about Ronaldo leaving Los Blancos have recently been quashed with the Portuguese star signing a new contract. Real Madrid now have probably the best two wingers in world football, although both can play in different positions that is where they are likely to play at Real. It is a frightening thought for any opposition team, Gareth Bale on one wing and Cristiano Ronaldo on the other. It will be interesting to see what Ronaldo’s attitude is like towards Bale. The Welshman has overtaken him as the world’s most expensive player, despite Real’s claims he has not. However Bale has stated that he believes that Ronaldo is still top dog at Bernabeu, which will help the former-United players’ ego. Gareth Bale will become a truly world-class player at Real Madrid and become a crucial part of their team. Playing and training alongside the likes of Ronaldo will only make him a better player and improve his game. I have no doubts that Gareth Bale will be a major success in Madrid. The only shame is that the Premier League has lost such an entertaining player this summer. The Premier League’s loss is definitely La Liga’s gain. RISTIANO Ronaldo ruled out a return to Manchester United on by indicating a desire to finish his career at Real Madrid. The Portuguese forward signed a new deal that ties him to the club until 2018. The 28-year-old, whose previous deal had been due to run out in 2015, expressed delight at agreeing terms after speculation in the summer he could be tempted back to United. But the possibility of a sensational return to Old Trafford, where he is still appreciated four years after his departure, seems remote after Ronaldo stressed the Spanish capital is where he wants to stay. “I’m really happy here,” he said. “I’ll be here five more years. I just want to win trophies for this club. “I appreciate the fans like me a lot to be here. I’m happy, I want to give my best on the pitch. “I will be honest with you - everyone knows I was in Manchester for six years. Manchester is in the past. “Now my club is Real Madrid. This is my home, my family is here and I’m really happy here. Ronaldo’s future was called into question following Madrid’s protracted pursuit of fellow winger Gareth Bale from Tottenham in the summer. They finally landed their man at the end of the transfer window, for a world-record 100million euros (£85.3m), which meant Ronaldo was no longer the most expensive player in the world. The pair played in the same Madrid team for the first time in Saturday’s 2-2 draw at Villarreal, when both players were on target. Madrid did not release the financial details of Ronaldo’s new contract but reports have suggested it will make him the highest-paid player in the world, eclipsing the package Bale put pen to paper on earlier this month. “In life there are things more important than money,” Ronaldo said when asked if his deal was now the most lucrative in world football. “It is important, I am not going to lie, but the project is to win things. Ronaldo, whose image was emblazoned across the Bernabeu’s VIP Box which staged Sunday’s press conference, added: “For me it is a very important day. “I want to thank my team-mates, the coach and, above all, the president. With this agreement I am very happy and privileged to continue in this house. “It has given me many things. For me today is as if it were the first day.